Mar 7 Mr. Arif from Pakistan visited us. 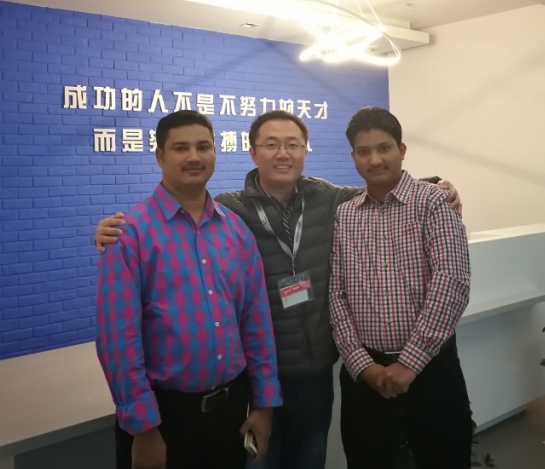 We are glad to tell you Mr. Arif from Reckon company visited our factory on March 7,2017 in Guangzhou and Office Center on March 20,2017 in Shanghai. He is very happy with his visiting. He is our friends since I worked 2008 in Gamma Tech/Gerber. This time he visited us only for friendship and potential cooperation with us. They most focus on sewing machines and begin think to move to from cheap to best quality and best service and most profit ATPJET Inkjet plotters. So we are still open for you in the Pakistan market and you have chance to be our agent even ealier than them. We do wish he can share some important information. each model we have cheap for low level user and best for high level user. Even cheap model are most stalbe and at least 30% faster and 2 times lifetime longer than others. Also our stable is No1. For more detail please check the attached introduce of our products. We promise to increase your sales 2 times (profit double too) and reduce your service cost 70% in our first year cooperation compared with others. So welcome to contact with us for more details. Welcome to visit us in China.